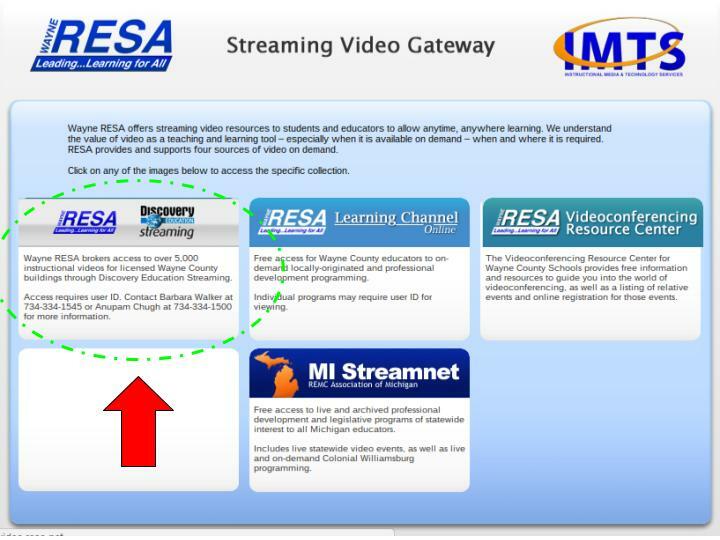 Click on the Technology page on the left menu. 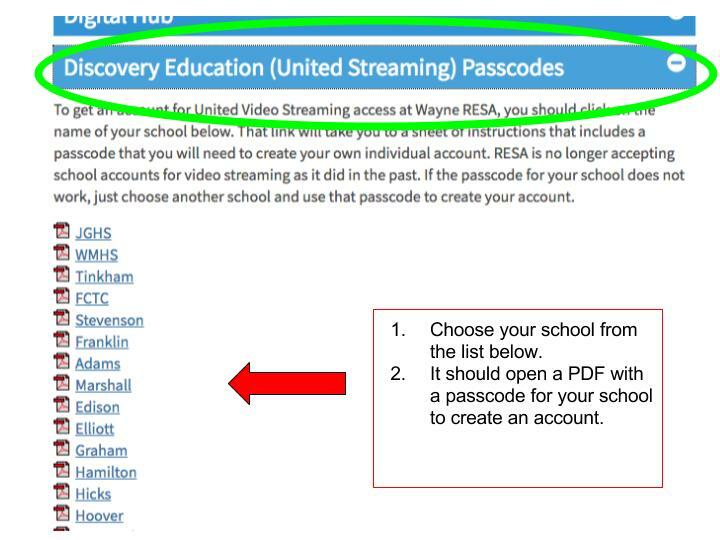 Click on “Discovery Education (United Streaming) Passcodes” and select your school. 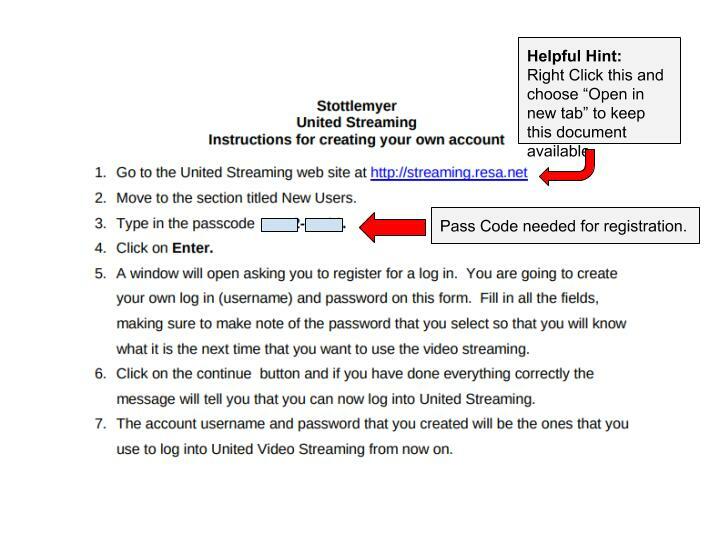 Note: These are older directions; please consult the instructions behind the staff door for updated ones. 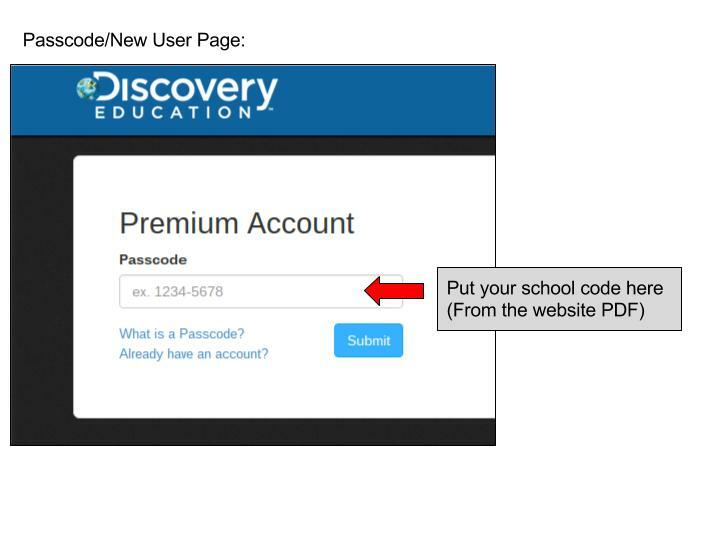 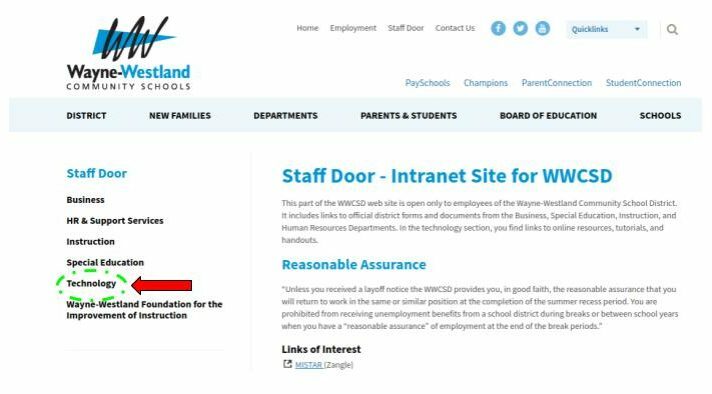 When you click on the link (if you right click you can open the link without closing the PDF), click on the Discovery Education website.